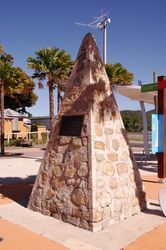 A cairn commemorates the centenary of the landing of explorer Edmund Kennedy and his party at Rockingham Bay in 1848. 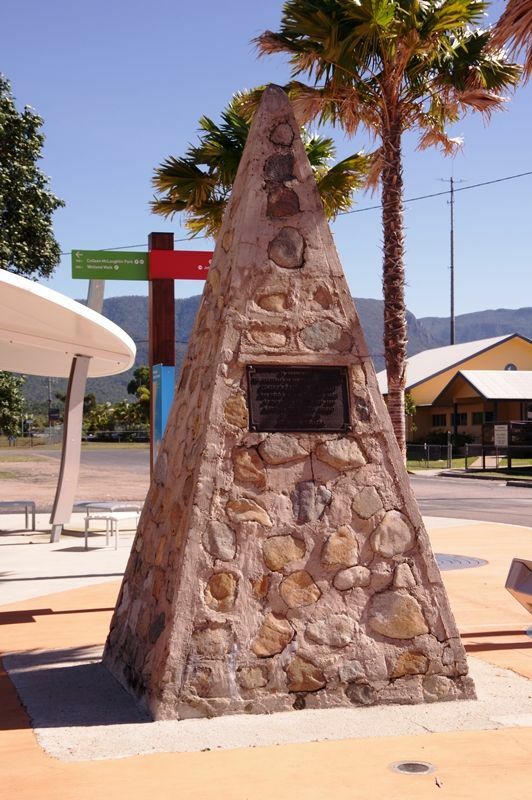 Members of the Celebration Committee were early astir on Saturday to put the final touches to the arrangements for the great gala day, to commemorate the landing of the explorer, Edmund Kennedy. Cars and trucks came from near and far and two excursion trains, one from Ingham and one from Innisfail, brought hundreds of visitors. At 10.30 a.m. there were crowds round the cairn to witness the official unveiling of the memorial to a great and gallant explorer. The ceremony marked the centenary of the landing at Rockingham Bay by Kennedy and his party on May 24 (Empire Day). Townsville Daily Bulletin, 24th May 1848.